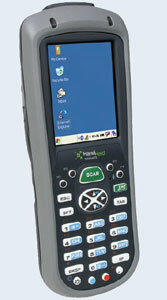 BaxTek Solutions-Handheld Products Dolphin 7600 Wireless Mobile Computer. Hand Held Products Dolphin 7600 Wireless Mobile Computer. The most compact mobile computer in the series, the Dolphin 7600 offers a range of features and functionality superior to other devices in its class. 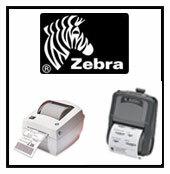 Ideal for use in retail, parcel delivery, postal route accounting, field services and warehousing, as well as for task management applications. Contoured, narrow body with an integrated finger saddle and angled image engine for comfortable one-handed use. Constructed for reliable use in light industrial applications–in the field and on-site. Powers an entire work shift of use, delivering uninterrupted data processing for enhanced worker productivity and reduced battery replacement costs. Adaptus™ Imaging Technology 5.0 reads linear and 2D bar codes and captures digital images, giving you the ability to process and manage more data with a single device than ever before.